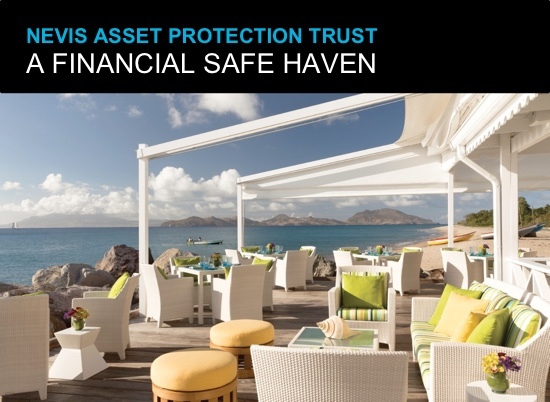 The Nevis Asset Protection Trust is a trust established in the Caribbean island of Nevis under the Nevis International Exempt Trust Ordinance (NIETO). NIETO was initially established in 1994. Amendments in 2015 further strengthen and enhance the asset protection features of various legal tools, including a Nevis trust. If you look at a comparison chart you can see how the Nevis trust legislation stands above other jurisdictions. Current Nevis trust legislation is one of a settlor’s staunchest allies in ensuring that assets are secure. In a Nevis trust, legal provisions help insure holdings remain sheltered, confidential, and virtually beyond the reach of predatory creditors. Here is a summary and a list of benefits of a Nevis asset protection trust. We discuss the trust in more detail below. The trust needs at least one trustee. We provide licensed, bonded trustees in Nevis. The trustee can be a person or a corporation under the Nevis Business Ordinance. The Settlor and the Beneficiaries are at all times Nevis nonresidents. The trust cannot own land in St. Kitts / Nevis. A creditor must post a $100,000 USD ($270,000 Eastern Caribbean Dollar) bond with the Nevis Ministry of Finance before bringing legal action against an international trust. The trust ignores forced heirship rules of the Settlor’s home country. That is, the Settlor decides who inherits his or her trust estate, not the government. The rule against perpetuities does not apply. Most countries limit the number of years trust can remain active. Nevis allows trusts that can last indefinitely. The Ordinance allows the trustee to combine two trusts into one or split one trust into two separate ones. The trustee can take this action (usually at the request of a settlor or beneficiary) as long is it does not hinder the rights of a beneficiary or go against the purpose of the trust. If a married couple owns property by tenants by the entireties (TBE), the trust continues to recognize the property as TBE property. TBE is a form of ownership in some states that prevents a creditor of one spouse from taking marital assets owned in this fashion. The trust can hold a wide variety of investments and other assets. The only remedy for a creditor is to bring a fraudulent transfer action. The creditor action in Nevis must take place before one year after the cause of action (reason why the lawsuit was filed). Moreover, the creditor must prove beyond a reasonable doubt and with clear and convincing evidence that the Settlor established the trust to keep money from that particular creditor. This means that if the Settlor set up the trust for any other reason, such as international diversification, estate planning, etc., it would be very difficult for a creditor to prevail. Moreover, the creditor risks forfeiting the $100,000 USD bond. A creditor cannot force a trustee to make a distribution from the trust. Additionally, if the trust has a protector, a creditor cannot force the protector to take action against the wishes of the Settlor as specified in the trust. Most importantly, the trustee can make payments to or for the beneficiary without creditor liability. Trust law uses the “step into the debtors shoes” theory. Whatever the debtor could do directly, the creditor can step into his or her shoes and do that same. So, the creditor only has rights to a Settlor’s trust interest if the Settlor has full access to trust assets and uses such power. Likewise, the creditor only has access to the Beneficiary’s interest if the Beneficiary has the right to revoke the trust and assign trust property to the Settlor (or his estate, or creditors). So, that is why it is important that an experienced professional drafts the Nevis trust. Once a Nevis offshore asset protection trust is set up properly, a trustee is appointed who will administer the trust according to the trust deed and optional Letter of Wishes from the settlor. Though usually not used, Nevis laws does allow for the addition of a protector. The protector of the trust can oversee the actions and decisions of the trustee. They can help ensure that the trustee carries out wishes of the settlor. However, a protector is not a mandatory requirement for establishing a trust in Nevis. The protector can direct a trustee to take a course of action (such as to distribute an interest or not). They can even, under certain conditions, relieve a trustee of his or her duties pertaining to trust management. As an example, let’s suppose that a non-Nevis court issues an injunction against a trustee or protector. The court order compels them to take a course of action that would compromise the integrity of the trust. This provision can automatically and immediately remove them from their roles as trustee and/or protector of the Nevis trust. No further action has to be taken by the trustee, protector, or the settlor. Even Nevis courts need not lift a finger for this automatic “dismissal” to be in effect. A successor trustee or protector will then take over the role according to the terms of the trust. If there is no provision for this in the trust, the High Court of Nevis can appoint a successor. The successor must adhere closely to the conditions and purpose of the trust and under the guidance of Nevis laws. 1. A trust will not be without a trustee (or protector, if provisions for one were included in the terms of the trust). 2. Even a foreign court compels the trustee or protector to accept a judgement, the trust itself will remain secure. This is because by the very judgement against them, they immediately cease to have any connection to, let alone power over, the trust. 3. Most importantly, within the proper asset protection framework you can choose another trustee. Better yet, you may choose to have your trust governed in another asset protection jurisdiction all together. A Nevis trust can become a Cook Islands trust, Belize trust or Isle of Man trust, for example. For more of a foundation on how an offshore asset protection trust works, you can visit the following link. It discusses the mechanics and how-to’s of the strongest international protective tool. What is a discretionary interest in a trust? If a beneficiary’s interest in a trust lies within the discretion of the trustee, it’s called a discretionary interest. A discretionary interest in a trust is not the same as a property interest, such as owning a boat or a building. Neither is it an enforceable right, like a wage or salary. Thus, depending on the terms of the trust, the trustee may or may not grant it to the beneficiary. This is what provides the asset protection. If a beneficiary could take such action directly, a judge could force the settlor to take funds out of the trust and give it to his judgment creditor. Granting this authority to a third party can tie the hands of a judge from forcing a beneficiary to cough up funds. As an example, suppose a creditor wins a judgement against a beneficiary who has a discretionary interest in a Nevis trust. The creditor cannot force the trustee to distribute the beneficiary’s discretionary interest to the creditor instead of the beneficiary. At the same time, however, Nevis laws permit the trustee to continue to make third-party payments on behalf of the beneficiary. Examples are such as university tuition or health insurance premiums. These payments can continue for as long as the distributions are in accordance with the terms of the trust. The creditor is powerless to halt such third-party distributions, nor force the trustee to allot these distributions to them instead. In fact, a trustee can exhaust a trust’s principal and interest for the benefit of the beneficiary. 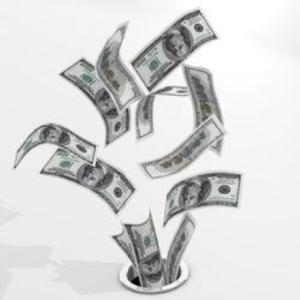 A creditor, even with a charging order in hand, will be powerless to do anything about it. Is the settlor is also a beneficiary of the trust? If so, everything said in this section about the beneficiary holds true for the settlor as well. As is clearly evident, Nevis trust law severely limits a creditor’s ability to get to a beneficiary’s discretionary interest. The amendments to the Nevis trust laws allows a trustee to ignore a settlor’s directions if the settlor is acting under duress. In this instance, duress often means the settlor is following a court order from a non-Nevis court with regards to the distribution of his assets or interest in a trust. This has long been the practice on the island with regards to trust administration. However, making it an express provision in the law gives settlors an added layer of legal protection. Furthermore, Nevis law protects a trustee, acting in this capacity, from any legal recrimination arising from a creditor’s further action. If by some chance, a creditor is able to successfully bring a charge against a trustee (a highly unlikely scenario), the anti-injunction provision kicks in. Once again, a Nevis trust will thwart a creditor’s attempt to appropriate its interests and/or assets. In Nevis, a settlor of a trust is allowed to retain certain powers over the trust. They can also receive certain benefits from it. In other words, within limits, one can be both a settlor and a beneficiary of a trust. Under Nevis Trust legislation, this in no way invalidates a trust. Why is this important? For a trust to be valid, one of the required conditions is the Certainty of Intention. This means it must be clear that the settlor is surrendering his or her ownership of the assets in the trust. This is why the services of a trustee becomes necessary. It is because the trustee (under the terms of the trust) holds the assets (but does not derive any benefit from them). This is important. If the settlor/beneficiary retains too much control over the trust, that can hinder its asset protection provisions. In most jurisdictions, a cunning creditor can argue that the trust did not fulfill the conditions of the Certainty of Intention. This could render the trust void. And without the protection of the trust, the assets of a settlor become fair game. 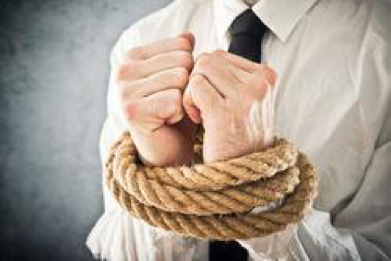 Under existing Nevis trust laws, however, the retention of the settlor of certain powers and his or her enjoyment of certain benefits from the trust does not automatically void the trust. This may qualify as a lack of Certainty of Intention in other jurisdictions, but not in a Nevis court. A creditor may have won a judgement against a settlor of a Nevis trust from an outside jurisdiction. But this does not mean that it is automatically enforceable on the island of Nevis. Just like any sovereign country, Nevis abides by its own set of laws. When it comes to trust cases, there is a non-negotiable rule. That rule is that all lawsuits against a Nevis trust must be tried in a Nevis court. No exceptions. A creditor may be shocked to discover that Nevis legislation requires a bond of US $100,000 to be deposited in a Nevis bank before his or her claim can even be docketed in a Nevis court. This is set aside for any court fees and other expenses that the creditor may incur throughout (or even after) the trial. If a creditor loses in a Nevis court, the creditor also pays for the expenses that the defendant incurred as well. Nevis trust laws also require a creditor suing a Nevis trust to retain a local Nevis attorney to represent him or her in court. Once again, a creditor may be surprised to find out that Nevis lawyers do not work on a contingency basis. A creditor will have to pay for legal services upfront. Typically a large deposit is required. Hourly fees and other expenses are taken from the sum as the case progresses in court (or not). While these costs may seem prohibitive, they are perfectly legal and acceptable under Nevis laws. A Nevis trust has long been a preferred instrument for individuals who wish to preserve their assets and protect them from unwarranted claims. However, the Nevis trust legislation 2015 amendments endow a Nevis trust with even more potent asset protection features. The strong and unequivocal language of its anti-duress and anti-injunction provisions will frustrate none but the most determined claimant. 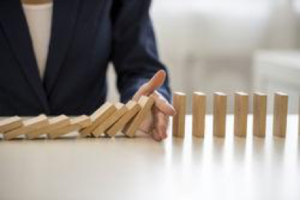 Efforts to breach the trust through the trustee or protector are continuously thwarted. At the same time, there is a broad and generous interpretation of a settlor’s right to exert a measure of control over the trust. The settlor can derive benefits from it. By doing so, Nevis trust laws do not see it as a violation of the Certainty of Intention condition. As if these are not daunting enough, there is the expense of mounting a lawsuit against the interests and assets of a Nevis trust. This may just be the final hurdle that will stymie any efforts to penetrate a trust that has been properly set up on this ideal offshore location. Nevis asset protection laws give settlors the satisfaction of knowing that the assets and interests they worked hard for are preserved and used only for the goals they intended. Overall, this satisfaction and peace of mind may just be crown jewel of the Nevis trust laws.